This is a very unique style of fishing. 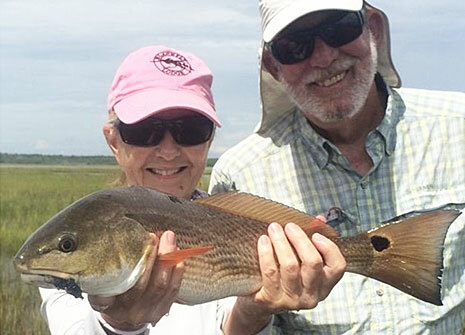 Flood tide fishing is only available from north Florida up through the Carolinas. The flood tide happens when our high tides reach a height of +5.2 feet. This happens during the late spring, summer, and early fall seasons. It will happen around the new and full moon cycles, as well as when there is added wind from storms and hurricanes. 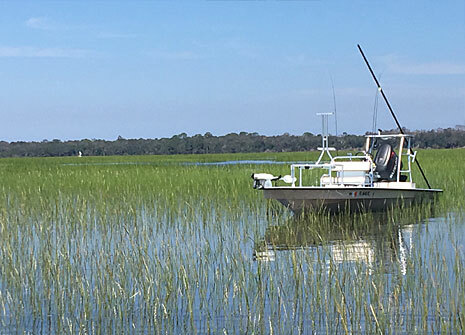 These extremely high tides push extra water onto the grass flats, which allows the redfish and sheepshead to enter areas that would otherwise be dry. 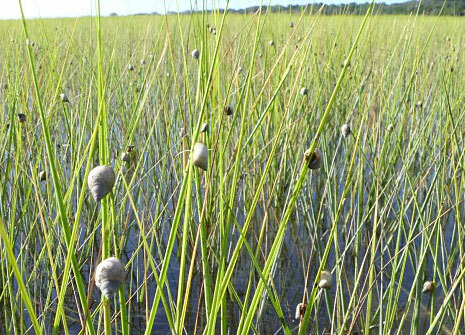 These fish therefore go up on the flats and gorge themselves on crabs and shrimp. 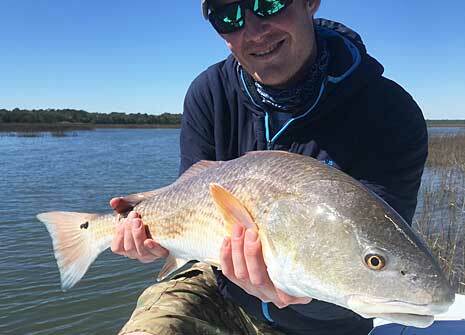 Many times you will see redfish tails waving at you from 100+ feet away. This will definitely get your blood flowing! You can access these fish from being poled across the flats or getting out and walking after these fish. This does not require a far cast but it does requrie an accurate cast. Please take a little time before your trip to practice casting accurately with casts from 20 – 50 feet. A properly placed cast will usually not be refused.